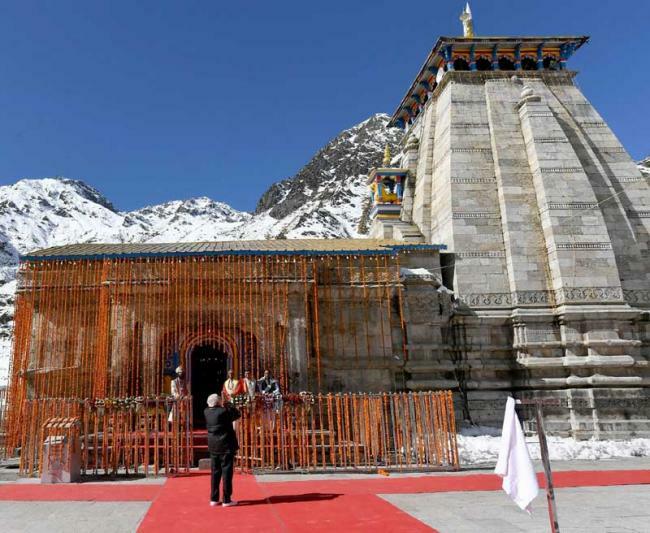 Dehradun, Nov 7 (IBNS): On the occasion of Diwali, Prime Minister Narendra Modi visited Kedarnath on Wednesday. He offered prayers at the historic Kedarnath Temple. He extensively walked around the entire temple complex, where significant reconstruction works are in progress. He was briefed by senior officials about the progress of the works. 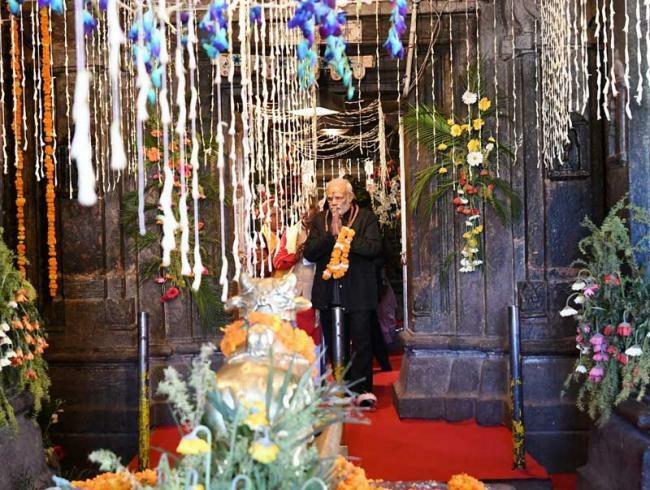 Modi interacted briefly with various people present at the temple complex. Wishing people on the occasion of festival Diwali, Modi had earlier tweeted, "Happy Diwali! May this festival bring happiness, good health and prosperity in everyone’s lives. May the power of good and brightness always prevail!" 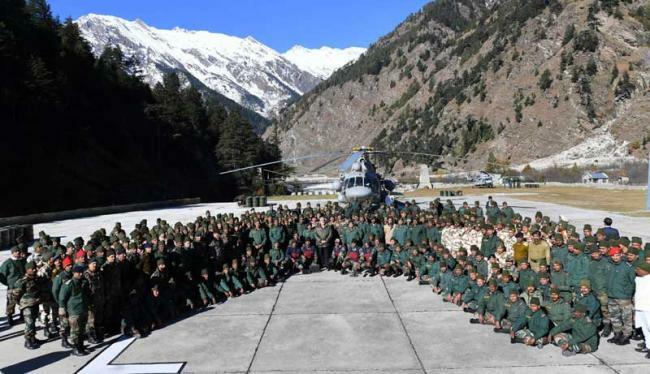 Like any other year, Modi celebrated his Diwali with the Indian Army. Prior to visiting the temple, the Prime Minister spent some quality time with the Indian Army and ITBP at Harsil in Uttarakhand.